Are Reliance Jio 4G feature phones launching today? Reliance Jio created a buzz in the Indian telecom sector with the launch of its free offers and cheap tariff plans late last year. A few days back, the company introduced the Jio Prime subscription, which went live on March 1. 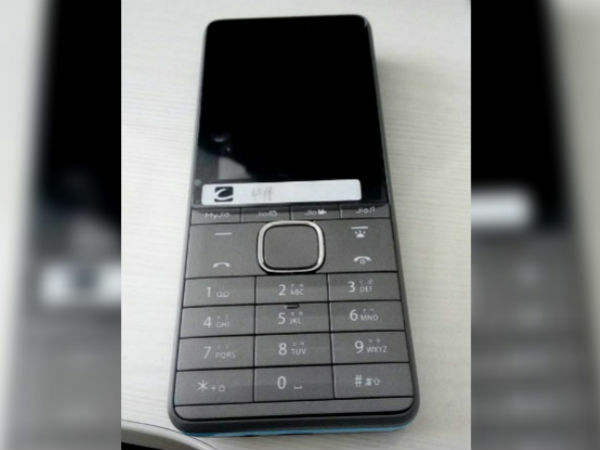 Now, it looks like it is time to expect the launch of the feature phones from the company. A few blogs are claiming that Reliance Jio will unveil the 4G feature phones priced at Rs. 999 and Rs. 1,499 today. While we haven't come across any official confirmation regarding the same from the company, it is claimed that these phones will be made available via Amazon, Flipkart, and Jio stores. The Jio 4G feature phones are said to carry disruptive price tags of Rs. 999 and Rs. 1,499. While there is no access 4G connectivity to many in the country, these feature phones with such a low price tag will definitely be a boon to such people as they can get to experience superfast 4G without burning a hole in their pocket. Both the Jio 4G feature phones are said to be preloaded with the Jio services those can be accessed via built-in buttons. Also, there will be 8GB storage capacity and Wi-Fi connectivity as well, claim the leaks. Despite the lack of Android OS, users can access Facebook, Instagram, Twitter, etc. using these phones. The Rs. 999 priced phone is likely to feature a 2MP rear camera and a VGA front facer. The Rs. 1,499 priced phone might have a 5MP rear camera and no word on the front camera for now. The battery capacity in these phones is said to be 1800mAh and 2300mAh. The Nokia 3310 (2017) is a good attempt from the company, but do you know that it cannot be used with the Jio SIM? Well, the phone supports only 2G, but the Jio 4G phones that are said to be coming soon support 4G. This is a major difference between these feature phones. Imagine how cool it would be to pair one of the sweetest and cheapest phones (the Nokia 3310) with the least expensive 4G data services offered by Jio. Unfortunately, this remains a dream for now.